Celia Zusman was born and grew up in Peru, but it wasn’t until later in life and away from her motherland, that she found herself as an artist, discovering her talent and passion for sculpture. Holding a Law degree from the Catholic University of Peru, Celia relocated to the U.S. with her family in the 80s, embarking on a complete career change. She first began her education in Landscaping at the Miami Landscape School and later studied Design at the North Carolina Design School. By the new millennium, Celia had become highly intrigued by the art of sculpting and found the perfect place to learn and create sculpture – the Cultural Association Dedalo Arte in Tuscany, Italy where the sculptress has been traveling to yearly for the past 9 years. Having found her niche in sculpture, Celia began to exhibit her art both nationally and internationally. 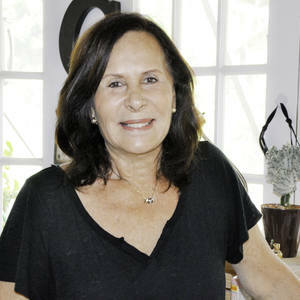 Her first individual sculpture exhibition in Miami took place at the One Brickell Square Gallery. That same year she also participated in the Miami International Book Fair, Artexpo in New York at the Javitz Convention Center, as well in Castelfalfi in Montaione, Italy. To the present day, Celia continues to exhibit her art, the latest exposition being in Camaiore, Italy. Throughout her successful career as an sculptress, Celia has been awarded various diplomas of recognition and certificates of appreciation. In 2005 the Miami-Dade County Mayor presented the artist with a certificate showing appreciation for her participation in the Individual Exposition of Maestro Xavier Carbonell and her contribution to art and culture in favor of the community. In 2008 she was recognized at the Florida Sysproductions Gallery for her valuable artistic contribution and participation in Artexpo New York. Celia has also been featured in several issues of the sociocultural magazine Iberoamericana International, with full pages dedicated to describing her work. Today Celia Zusman continues to create wonderful, innovative artwork in her studio in Miami, Florida.